To find the truth, you’re gonna have to go in the deep end. Hydrophobia is an arcade game known in it’s previews for the impressive water effects it can bring. 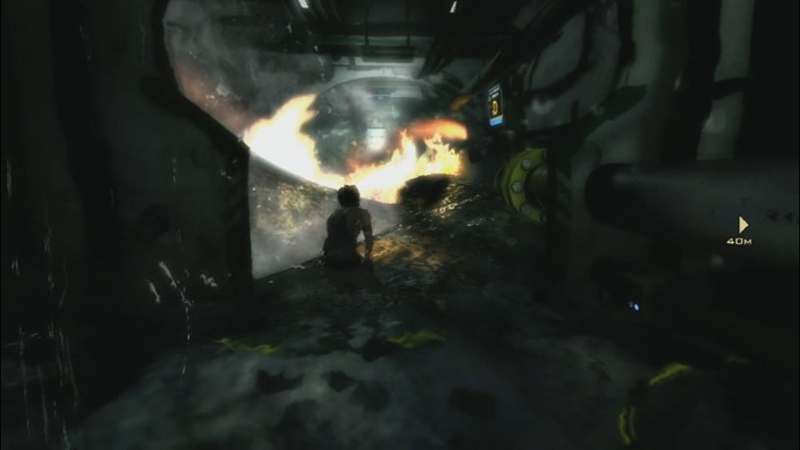 The ability to change the terrain with water and take out enemies using good ol’ H20 is a strong point in this game, but a few control issues and story flow provide unnecessary bumps in the overall ride of this game. 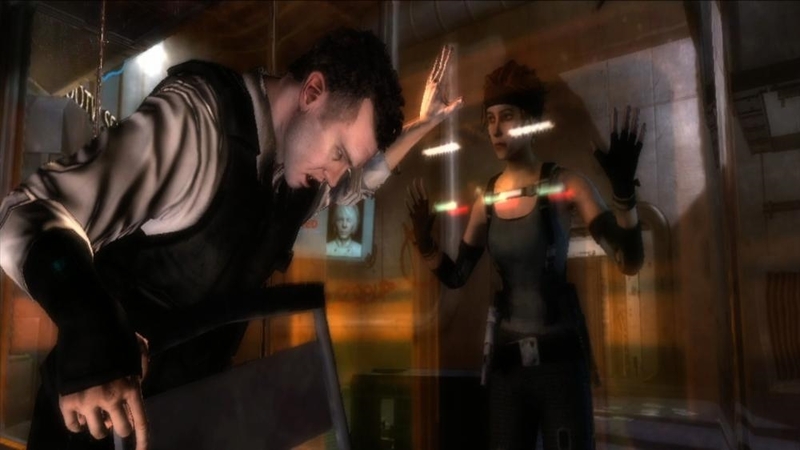 Hydrophobia has been set up as an multiple game story arc, and the beginning with this one seems to be pretty though, although a bit confusing. 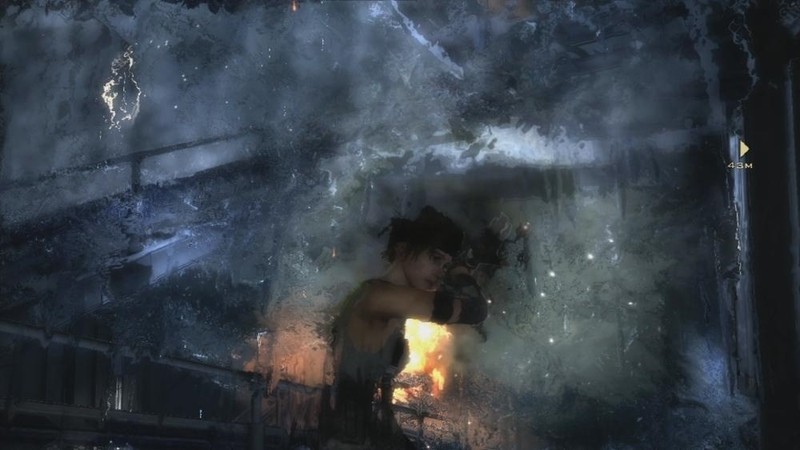 You play as Kate Wilson, an engineer aboard the Queen of the World ocean vessel and respond to a breach in security and possible leaks on the ship. A group of armed terrorists known as Maltusians have attacked and seek to spread their message to all: Save the World by Killing yourself. They may want people to kill themselves, but most of the time you’ll see Maltusians doing the killing since most are pretty well armed. Kate’s only got Scoot, you boss on the vessel who provide objectives and hints on your goals, and an LP47, a special handgun that allows you to change it’s type of ammunition to suit your situation. Exploring the vessel and recovering documents shows that something is a bit off about how the Maltusians could have attacked so easily. The plot begins to open up and then you’re hit with the ending, one that hasn’t bothered me as much since Halo 2. It took me a while to get into this game despite buying it when it first released, but over the holiday break, I sat down and roughly 2-3 hours later, I was done. Mavi, Oh Mavi, where must I go? A simple breakdown of the game will show that you need to get to an restricted area, complete an objective, and move onto the next area. Along the way you’ll probably get a bit lost, so then it’s time to take out your Mavi, a navigational tool that will aid Kate by displaying the map, and recovering cyphers to decrypt locked doors. Mavi is your greatest tool beside water and guns, and one that can even be used as a prop for your Avatar! Maltusians may be armed and ready, but you’ve water on your side if you choose to use it. On the vessel there are areas that are free from water and have emergency doors that you can break to fill rooms up. Combining the LP47 and it’s rounds of ammunition or the stun attack will allow you to zap foes and unleash water on top of them in hopes that they’ll meet a watery doom. The combat is pretty fun, but exploration and solving objectives is the main focus in this game. Arcade games have changed a bit about how we used to perceive them. Originally ports of actual classic arcade games, over the years Xbox Live Arcade has brought together an impressive list of titles with retail worthy visuals. Hydrophobia sports some great visuals as well, especially the water effects as advertised. Water reacts in a natural way and when when you add water to an area, the time it takes is pretty accurate as well. When in water, you can view how the once dry objects are affected and how the Maltusians change up their tactics when forced to swim. 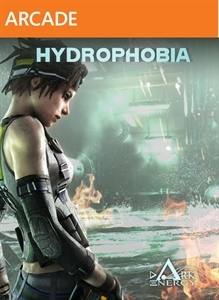 Hydrophobia is a good game, although it’s pretty short for $15, and with no lasting thoughts to me like something Limbo or Braid did, the price and hours of gameplay really got to me a few times. The story is pretty good, although it comes to an end at a weird spot, leaving you waiting until the next one for more answers. Since you can’t rent XBLA games, I would say check out the trial a few times and maybe play it a friends house who purchased it, or wait until it becomes discounted.